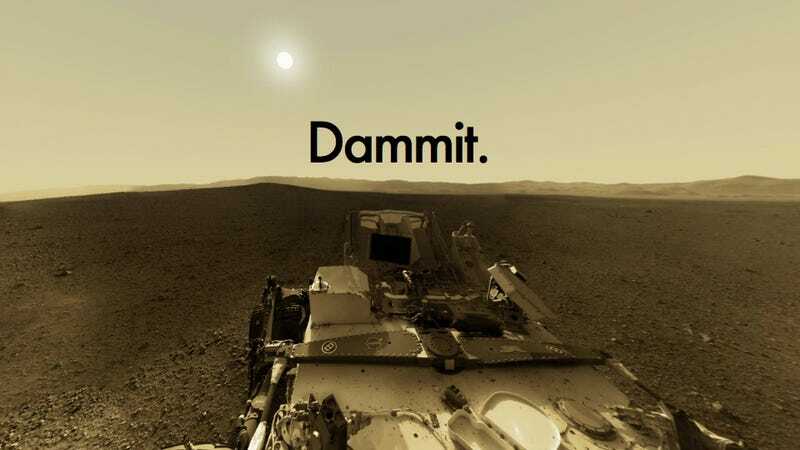 The good news: last week, NASA's Curiosity Rover confirmed that Mars was once capable of harboring life. The bad news: for the second time in as many months, the Agency's new robotic rover has had its scientific mission compromised by technical difficulties. The good news again: if all goes well, Curiosity should be right as rain in a few short days. Late last month, a corrupted memory file prompted NASA engineers to switch the rover's main operations from its "A-Side" computer to its "B-Side" backup. The rover remained in standby throughout the first half of March, and was slated to begin normal operations yesterday. But then Curiosity ran into a new set of problems. The latest issue has to do with some of the rover's files that were scheduled for deletion. One of those files was connected to a file still in use by the spacecraft, so the deletion process prompted an error that sent the rover into safe mode again, preventing the rover from resuming science as planned. Curiosity chief scientist John Grotzinger says these types of errors are neither rare nor extraordinary. All it means, he says, is that "science has to stand down for a couple more days." "The expectation is, it's going to take a couple of sols [Martian days] to resolve this one." Fortunately, Curiosity can still function as a powerful research laboratory, which will allow scientists to continue analyzing all the data collected by the rover to date. And with its primary mission recently accomplished (i.e. confirming that Mars was once capable of harboring life), NASA engineers can feel a little less pressured to get things up and running again. But seriously, NASA engineers. Chop chop. Mount Sharp isn't going to explore itself.